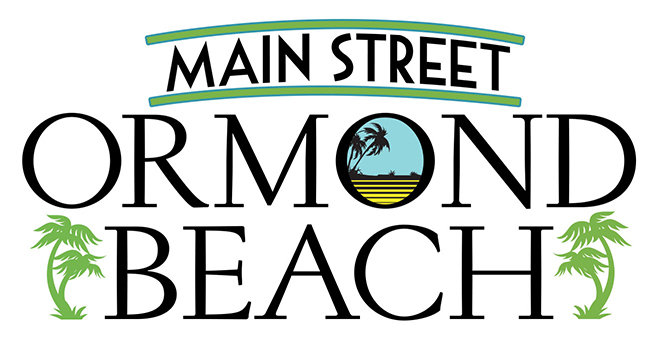 Ormond Beach Mainstreet members can be part of the Ormond Beach Mainstreet business directory. This tool helps locals find your business by category and includes your vital business information. Locate a business or public building in Ormond Beach using the Ormond Beach Mainstreet business directory. We invite you to visit our fantastic local restaurants, shops and retail businesses. You’ll find that we have diverse, high quality establishments and organizations right here in The Birthplace of Speed. Ocean Art Gallery is a lively and fun place that excites the senses. Our attractive gallery, located steps from the Atlantic Ocean, showcases the talents of over 37 artists from our community, throughout Florida, and across the country. With original art and high quality giclees, we offer reasonably priced art in all mediums, including acrylic, mixed-media, oil, watercolor, pastel, photography, sculpture, hand blown glass, sterling silver jewelry, and more. Local residents, vacationing visitors, and serious collectors can find the perfect piece of art for their home or office. We are also a source for art education, conservation, and wildlife. We often hosts talks and exhibits by local groups and professionals. We welcome colleges and local schools to visit the gallery as a resource for art and conservation. Ocean Art Gallery is locally owned and operated by a US military veteran. Local ownership directly supports the local economy, saves resources, and fosters a greater sense of community. Visit our event page to discover upcoming art events: oagart.com/events Connect with us on Instagram and Twitter! Thank you for reading our story. Hope you visit us soon! Are you thinking of buying a home in the greater Daytona Beach, FL area?Finding the right home can be a difficult process but no matter what you are looking for, one of our experienced real estate agents can provide you with the resources you need to make the home buying process simpler, fromspecific neighborhood information, to tools to estimate your mortgage payments, and buyer resources and articles that will help you through the home buying process. 509 S Nova Rd Ormond Beach, FL 32174 All Aboard Storage has three Ormond Beach locations that offer a wide range of self storage options. All of our leases are month-to-month with affordable rates to ensure maximum flexibility. All Aboard Storage’s Ormond Beach storage facilities are open from 9 a.m. to 6 p.m., Monday thru Saturday. We have flexible storage solutions to meet the needs of all of our unique customers. From climate-controlled storage units to large parking spaces for RVs and boats, we have everything you could need. We even have large warehouse space for rent. Our Ormond Beach storage locations are managed at our main Ormond Beach office. Call 386-672-3742 for storage availability or reserve your storage unit online. Additional storage and parking is available. Call the office to speak to a friendly storage professional about details regarding available Ormond Beach storage space. Welcome to Bliss Massage Spa, offering professional therapeutic massage and located in the heart of Ormond Beach, FL, only a few short steps from the beach. The office is located inside Fountain Square Shops at 142 East Granada Blvd, Ste.207. Come and enjoy this secure and serene environment that will enhance your restorative experience. Our Licensed Massage Therapists will work with you to assess your needs and allow for your escape into a world of total comfort, relaxation, and rejuvenation…your RESTORATION. While each experience will address your specific needs and expectations, you will select from one of the following massage modalities: -SWEDISH -DEEP TISSUE -HOT STONE -AROMATHERAPY -HEAD, NECK, SHOULDER EXPRESS Bliss Massage Spa gift certificates make excellent gifts! Digital Cable, home phone and high speed internet provider with an office right here in Ormond Beach at 333 West Granada Blvd. Creative Artists Network offers fine art from a select group of successful, established artists whose art is currently displayed in healthcare, business, hospitality, corporate, and residential settings. Creative Artists Network offers a “personal shopping” experience enabling clients to select the art that will best fit their particular environment. Original works, as well as signed, numbered prints are available in a variety of sizes and mediums, and may be purchased framed or unframed. Design consultation and placement services are available, as well as quantity and professional discounts. Hometown news, racing coverage, photos, video and more from The Daytona Beach News–Journal. Dunn’s Attic & Auction House is Ormond Beach’s newest shopping experience. Come visit our 12,000+ sq ft showroom and find some “Unique Items with Character,” including; furniture, jewelry, handmade gifts, collectibles, and much more! Shop in our store Tuesday through Saturday from 10am till 6pm. Rosie’s Cafe, inside Dunn’s Attic, is open from 10am until 4pm Tuesday through Saturday and features soups, sandwiches, snacks and proudly serves Biggby Coffee. Dunn’s Auction House continually hosts an online auction. Log in to WIN some great treasures. Visit Dunn’s Attic on the first Saturday of each month to meet with our “Gold Digger” and receive cash for your solid gold and silver pieces. For Ormond Beach’s impressive local artist community, we have our fantastic Artist’s Corner, which features local artists year-round. Our store is filled with treasures from all over the world. Have treasures of your own to consign, send us some pictures, and we will happily set up an appointment. 425 N Williamson Blvd, Daytona Beach, FL 32114 Florida Power & Light Company is the largest electric utility in Florida and one of the largest rate-regulated utilities in the United States. FPL serves approximately 4.6 million customer accounts in Florida and is a leading employer in the state with more than 10,000 employees. The company consistently outperforms national averages for service reliability while customer bills are below the national average. A clean energy leader, FPL has one of the lowest emissions profiles and one of the leading energy efficiency programs among utilities nationwide. FPL is a subsidiary of Juno Beach, Fla.-based NextEra Energy, Inc.
Drive Thru ATM operates 24-7 Welcome and thank you for your interest in Floridian Bank. “Our people make the difference!” – everything we do at Floridian Bank is driven by this statement. And by this we mean that our number one priority is you, our customer. Our people make the difference! Frappes celebrates OVER two decades of frappelicious, organically groovy food and service with a smile. Our menus are seasonally inspired and subject to change upon availability, inspiration and / or chef’s whim. Join us on every friday Night for LIVE music with the area’s best talent. 155 Interchange Boulevard, Ormond Beach, Florida, 32174 Your choice for Ormond Beach hotels, located right off I-95, the Hampton Inn Daytona/Ormond Beach is a short drive from Florida Hospital Ormond Memorial Medical Center, Embry-Riddle Aeronautical University, Daytona State College and Bethune-Cookman University. Located off of I-95 at Exit 268, the Hampton Inn Daytona/Ormond Beach hotel is less than a mile from restaurants, movie theaters and shopping. The Ormond Beach Municipal Airport and Business Park are also only five minutes away. Your Home for comprehensive residential and commercial Real Estate sales, rentals, management and leasing in Daytona Beach and Ormond Beach Florida. Hart Pro Realty can help you buy, sell, or rent your 1st home, 2nd home, vacation rental, or investment property. As a full service Real Estate Brokerage we are able to completely service the property after the sale. Also, as members in good standing with the National Association of Realtors, the Florida Association of Residential Property Managers, and the Ormond Beach Chamber of Commerce we have access to the resources and networking to create a customized real estate solution to meet your needs. We also offer very competitive Community Association Management of Home Owners Associations and Condominium Associations. The minute you walk through the door of Hershey’s Ice Cream in Ormond Beach, you’ll be WOW’D by a wall-length display of Jelly Belly©, kiddie candies, chocolates and nostalgic candy favorites. Continue and bit further and be WOW’D again by 48 flavors of famous Hershey’s© hand-dipped ice cream and yogurt. A Unique Atmosphere of Culinary Creation – now in a new location! Enjoy delicious breakfast and lunch menus including award-winning crab cakes, omelets, quiches and paninis. Dinner served every Friday and Saturday evening featuring live music and live artists demonstrations. Try our new “Florida Bar” featuring spirits and drinks from Florida distilleries. Welcome to the Ormond Beach Observer. Modeled after its award-winning sister papers in Palm Coast, Sarasota and Manatee counties, the Ormond Beach Observer is dedicated to serving as the leading and most trusted source of local news and information for the Ormond area. Each edition of the Ormond Beach Observer delivers the area’s most relevant and most comprehensive news, information and features affecting Ormond Beach residents, their neighborhoods and the community at large. From the backyard neighborhood birthday parties, to the grade-school award ceremonies, to the high-school sports games, to the church socials, to the actions of the Ormond Beach City Commission, the Ormond Beach Observer chronicles life in Ormond Beach like no other news medium. If it happens in Ormond Beach, Ormond Beach residents know where to turn — to the Ormond Beach Observer. Welcome to Ormond Beach Veterinary Clinic Your Veterinarian in Ormond Beach, FL Call us at 386-677-0507 Pet Emergency? Read no further and call us right away! If you live in Ormond Beach or the surrounding area in FL, then you have picked the perfect site to find a veterinarian. Dr. Michael Burke is an experienced veterinarian, treating cats and dogs. Your pet’s health and well being is very important to us and we will take every step to give your pet the best possible care. Visit your nearby Ormond Beach car dealership today to test drive the latest Buick, Cadillac, and GMC cars and trucks. See our hours and directions for store details. We are proud to be your Daytona Beach Buick Cadillac and GMC dealership. For our Buick enthusiasts we have the new Buick Regal and LaCrosse ready for you to take home today! Located off N. Nova Road in Daytona Beach, we conveniently serve as your Ormond Beach Buick, Cadillac, and GMC dealer. Come visit Ritchey Cadillac Buick GMC today! S.R. Perrott, Inc. is located in the heart of Ormond Beach on North Perrott Drive at the corner of Granada Boulevard S.R. Perrott, Inc. is very involved with special events and is committed to its responsible drinking programs. Carrying on a 50 year tradition, S.R. Perrott, Inc. is dedicated to quality, customer service & community. The Law Office of Sharon B. Logan has been offering real property and estate planning services to the Ormond Beach, FL community for over 30 years. As a Board Certified Real Property Attorney, Sharon B. Logan will help you with all your legal needs by representing you as either a buyer or a seller in the areas of residential and commercial real property. Estate planning and administration, as well as Wills and Trusts are also services offered at our location. Your beauty, your style. Our mission. Now situated in the beautiful Ormond Beach Arts District, Shear Dimensions has been providing Volusia and nearby counties the very best in salon/spa services since 1990. Owners Robert Pavelo and Mike Stauffer invite everyone to get acquainted with a most fulfilling and rewarding salon experience. The expertise contained within Shear Dimensions will help you realize your beauty potential, while the friendly, warm, and accommodating staff pamper you. Discover why our motto is: Your beauty, your style. Our Mission! It’s time to Bank Human AgainTM. TD Bank is one of the 10 largest banks in the U.S. But we’re not like other banks. We’re open early, open late and we’re even open weekends. We have FREE customer coin counting. We let people keep our pens. And we even have dog biscuits for our four-legged guests. We work hard to create the best experience for our customers. That’s what it means to Bank HumanTM. That’s what it means to be Americas Most Convenient Bank®. Brent O Quinn 763 W Granada Blvd Ste A Ormond Beach, FL, 32174 Call: (386) 673-9111 Fax: (386) 672-0427 As a Personal Financial Representative living in Ormond Beach for 38 years with my wife, Erin, and 2 children I know many local families. My knowledge and understanding of the people in this community help me provide over 9000 customers with an outstanding level of service. I look forward to helping families like yours protect the things that are important – your family, home, car and more. I’m also here to help you prepare a strategy to achieve your financial goals. I’m proud to work with a company that’s one of the biggest in the insurance industry. In fact, last year Allstate had a relationship with about one of every six American households and protected an estimated 17 million autos. A stable, reputable company that reaches out to millions of American households to meet their needs – that’s my kind of company. We specialize in revitalizing and recreating estate jewelry. Please visit our shop at 30 W. Granada Boulevard in lovely historic downtown Ormond Beach, Florida. Our fine selection of jewelry will meet almost any budget. Mention this website and take 20% off your first purchase. We welcome your business! We have an eye for the unique. Come visit us and see for yourself! We think you’ll enjoy the diversity of our selection, spanning well over 100 years of craftsmanship in silver- and gold-smithing and jewelrymaking. Bring us your old gold, platinum, silver and broken jewelry – we’ll buy it on the spot at the market’s most competitive prices. With so much drama in the world, we choose not to get caught up in it and focus on our YOGA. We Are Yoga is here to remind you to never give up on your yoga. Health is wealth and awareness is key. The word Yoga means join, We Are Yoga reminds us that we are joined, we are connected. We work together on many levels, with ourselves and with others. Working together, mind & body, heart & lungs, person to person, group to group We Are Yoga. We support yogi’s, yoga schools, federations, and organizations worldwide because yoga works. The practice has been proven to prevent and protect us against today’s enemies such as: obesity, diabetes, depression, cancer, arthritis, stress, heart attack, laziness and MORE! Yoga gets you out of pain and on your WAY.